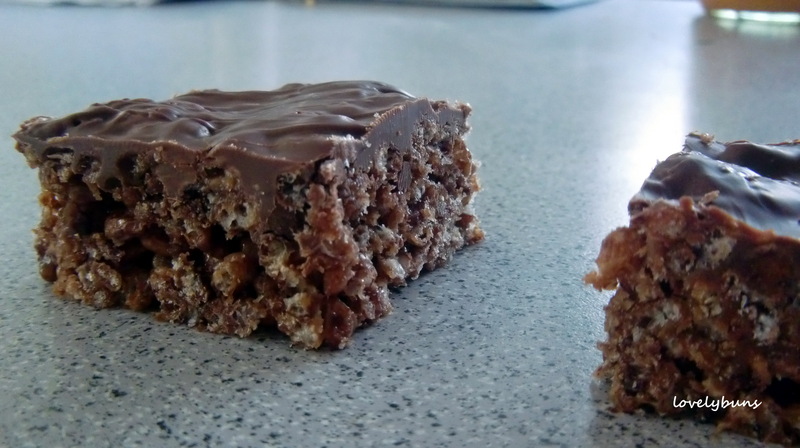 How to: Melt the chopped Mars bars in a saucepan with the butter, stirring most of the time. Remove from the heat and add the rice crispies. Stir everything together until well blended. Pour the mixture into a grease proof paper lined tin roughly 20cm x 20cm and even out. Tin size isn’t important, this size just makes good sized squares. 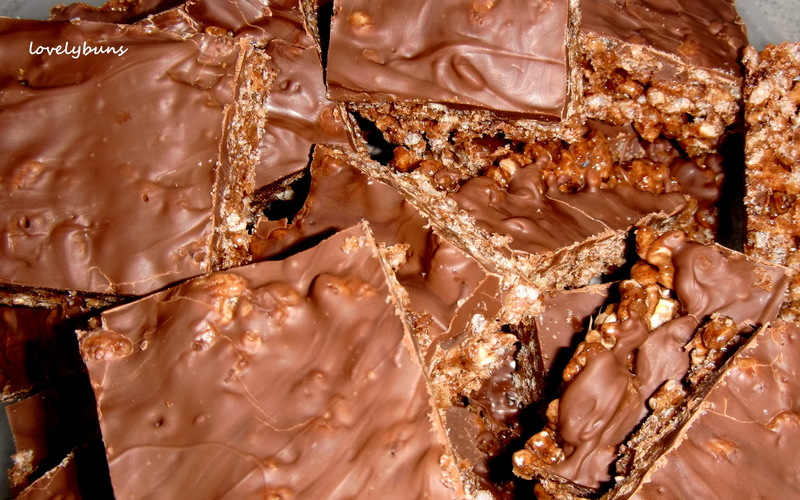 Chill the “chocolate crunch” in the fridge until hard, about 20 mins. 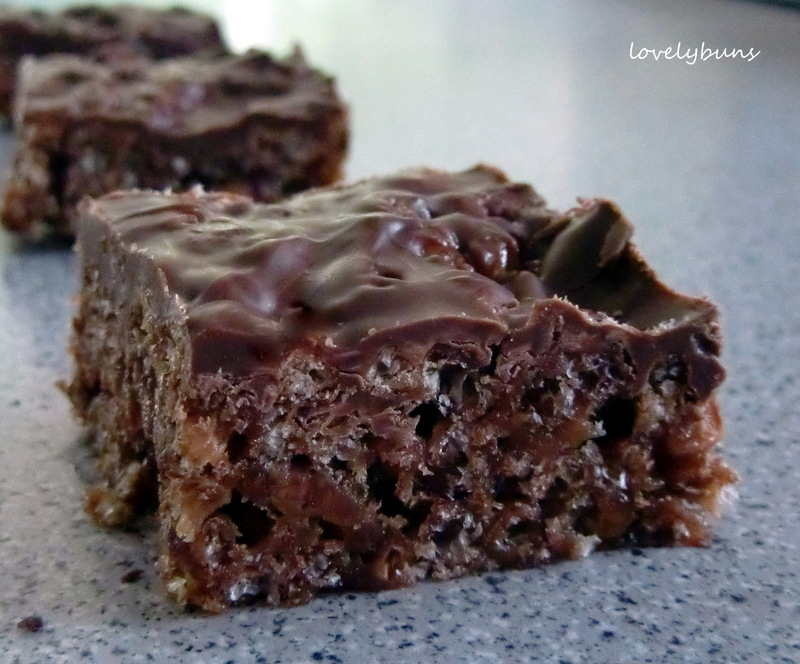 Melt the chocolate (in the microwave for a couple of minutes or in a bowl over a pan of steaming water) then spread over the “chocolate crunch” and chill again. 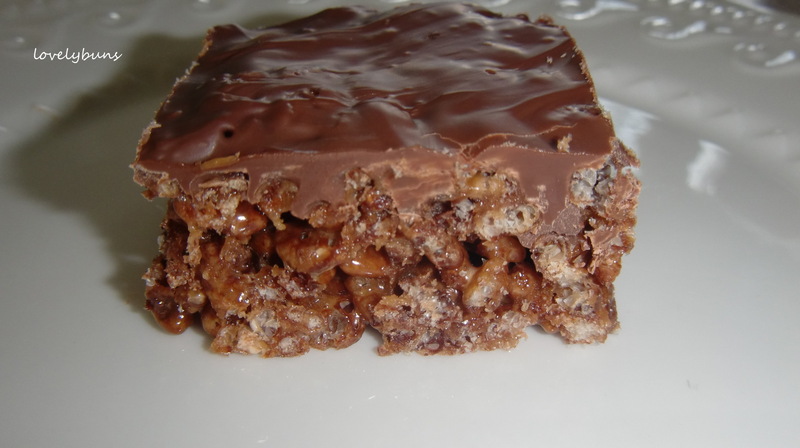 When the chocolate has hardened, lift the biscuit and grease proof paper out of the tin and slice into squares or bars large or small. Really easy to make and no oven necessary! These should be stored in the fridge or somewhere cool and will last a few days, but generally they are devoured pretty quickly! No baking needed? Unbelievable! Must try! TFS, Lovelybuns! It’s a bit decadant isn’t it? We keep it mainly for a birthday special otherwise I’d be making it every week! I have made them a few days ago! Divine & irresistable too! 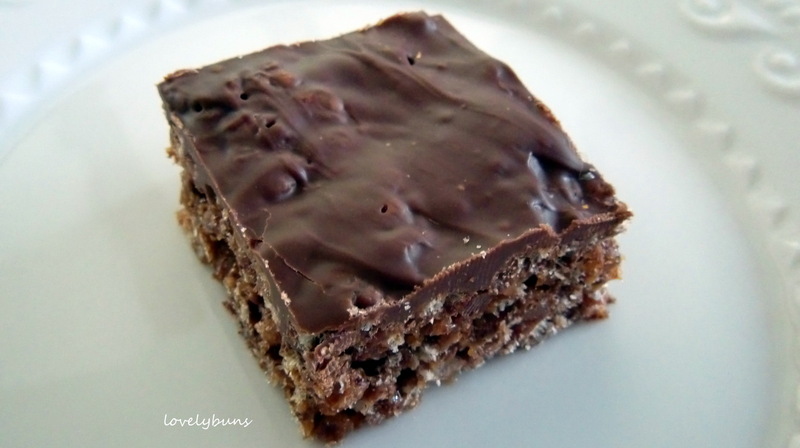 It’s always good to have a quick and easy chocolate recipe, glad you made them too! Whoa! This looks like a good one! thanks for the recipe! You’re welcome, I hope you make some – quick and easy as usual! Gorgeous and decadent Candy!! Wow! These have my mouth watering! Yummm! i love chocolate! this cahe is very good!!! Yes, it’s very good and very easy to make!